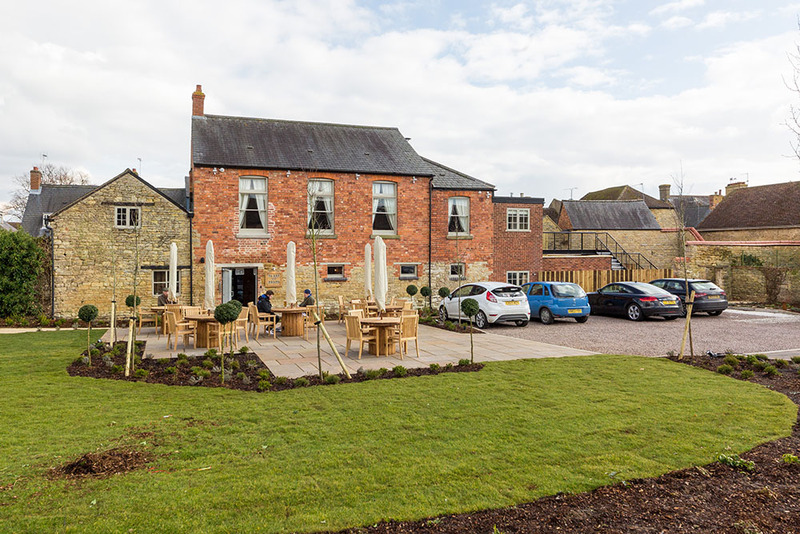 The Bull Hotel forms part of the Apostrophe Pub group, a collection of charismatic Pub & Restaurants (some with rooms) spanning Warwickshire, Bedfordshire & Buckinghamshire. The Apostrophe collection composes part of the Managed Houses division of pub company & brewery Charles Wells Ltd.
Our sites include d’Parys in Bedford, Merlin’s Cave in Chalfont St. Giles, Cox’s Yard in Stratford-upon-Avon, and us – The Bull Hotel Olney! Apostrophe might be a small group, but our ethos and values are mighty. We aim to serve up quality food and drinks, and provide our locals and out-of-town guests a place to rub shoulders, dine, drink and relax. 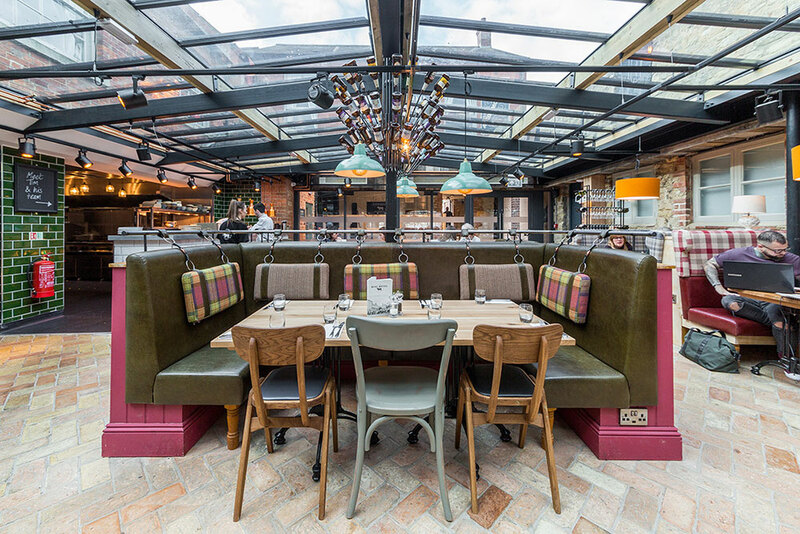 Much like our interiors, we are an eclectic mix of the old with the new. Reclaimed wood, upcycled furniture and original features juxtapose with contemporary fittings and your every modern-day comfort. A fresh approach to dining but with that old-fashioned sense of hospitality. Small in size, but rich in history, the stunning Georgian market town of Olney sits on the banks of the River Great Ouse, and is situated between the county borders of Buckinghamshire, Bedfordshire and Northamptonshire. Olney’s heritage is notably steeped in classical literature. Distinguished former residents include William Cowper & John Newton who made the town their home for some time. During his residency, Newton penned the “Amazing Grace” poem making Olney a fantastic destination for literature and history enthusiasts. A must see is the William Cowper Museum located on Orchard Side of the Market Place. 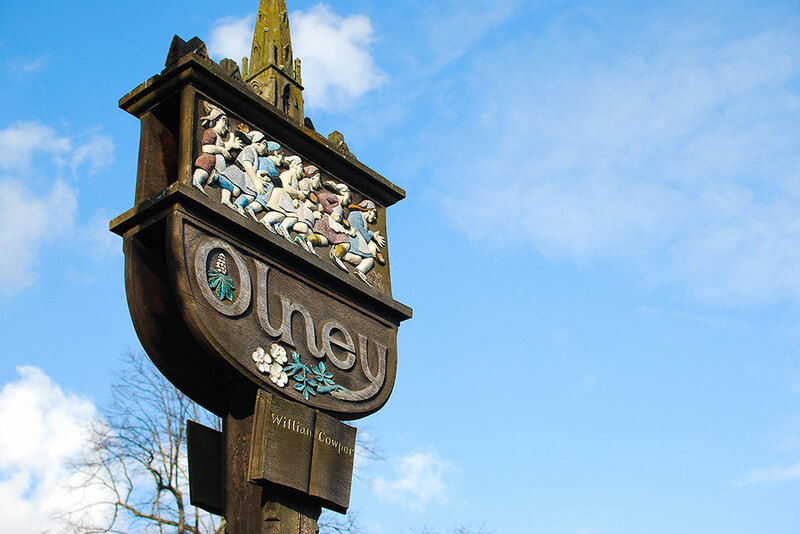 Another claim to Olney fame is that the town is home to one of the largest and longest standing annual Pancake Races. Every Shrove Tuesday, the locals and their families congregate, armed with frying pans and proceed to compete in the Market Place (opposite The Bull). This tradition (supposedly) originates from 1445 when a harassed housewife dashed to Church, apron flying and frying pan in hand to make the service in time. To this very day, the ladies’ races commence on our doorstep. 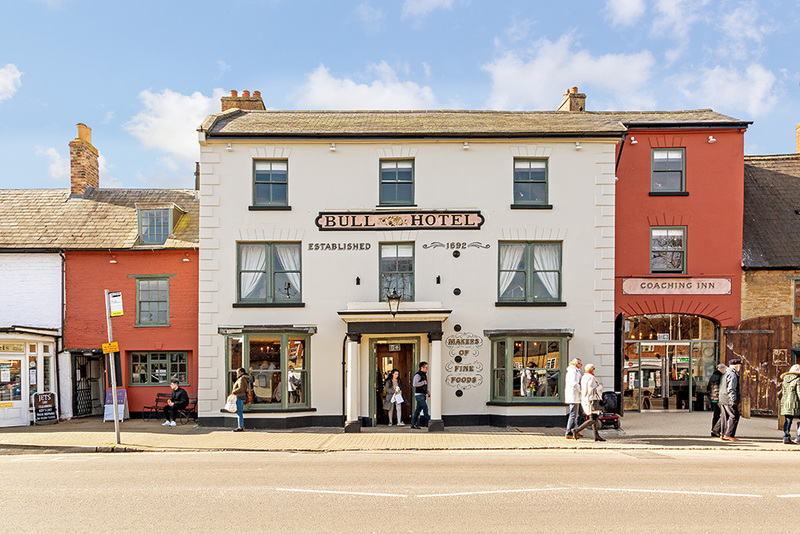 The town also boasts a vast array of wonderful independent shops, boutiques &antique outlets, perfect for browsing. As a valued part of our local community, it is our responsibility to ensure that we respect the Olney Market Place parking guidelines.